A really interesting insight on his move from amateur to professional and his role within Ulster Rugby. Peter Lockhart from UlsterRugbyLad recently caught up with former Ireland, Ulster and Ballymena winger, James Topping. 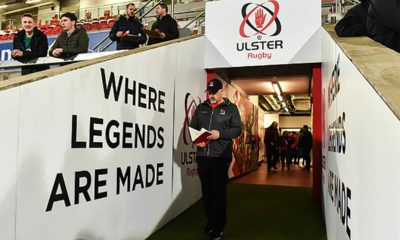 As the Elite Player Development Officer with Ulster Rugby, he is responsible for finding and nurturing talent in the province. We discuss how he developed his passion for rugby, the difficulties involved in finding and retaining home grown talent and the current state of Ulster Rugby. Like most guys it was my friends who got me into rugby. I played rugby for the first time at Ballymena Rugby Club whenever I was in P7. All my mates had decided to go so I thought I would go along as well. I went to Ballymena Academy (nearly 30 years ago!) and the two options were rugby and cross country so I was always going to choose rugby! I still played football on Saturdays but then I was selected for the 1st XV when I was in 5th year at school and that’s when I told myself ‘I better start to take this seriously!’. We had a really good team. When I was in 5th year we got beaten in the final by Inst 10-9 – one of the few games we lost all year but that’s the way it goes! In lower and upper sixth I was selected for Ulster and Irish Schools. That gave me a real impetus to push on and see how far I could get in rugby. I left school in 1993 and I was going to be a civil engineer. It’s not like there was a choice as there was no professional rugby at that stage so I thought I better continue on with education. It was in my 2nd year at Uni that changed. 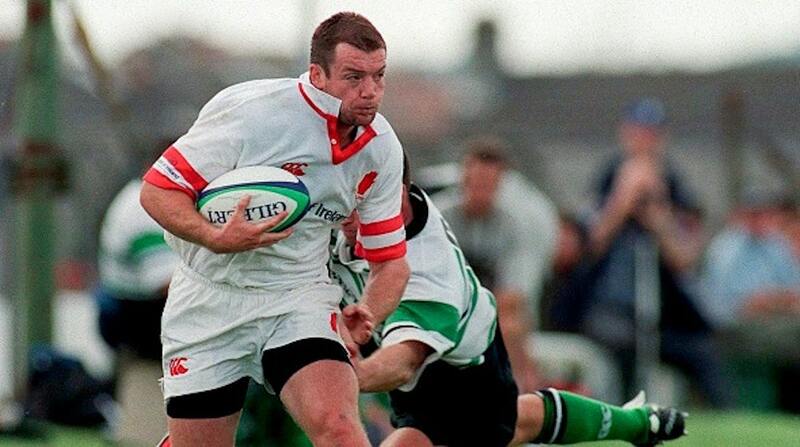 I had played for Ulster in my first year out at uni. I then went professional, getting to play for Ireland and got my pro contract when I was still at university. 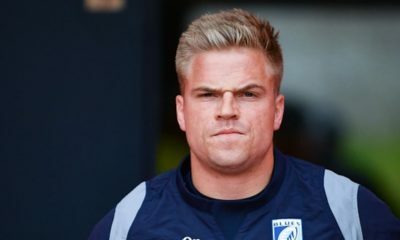 It made it easier for me – it hadn’t been my focus as school to make it as a professional rugby player as that option hadn’t really been available. When I started playing we just trained at rugby. There wasn’t much outside of that. Strength and conditioning hadn’t really started. You were just left to do whatever you wanted to get ready for playing. When you got injured you were just told to rest – there was no big push or loads of physio treatment to get you back in and playing again. We trained on a Tuesday and Thursday and then just played rugby on the weekend. That was the focus for us – the game at the weekend. There was very little squad rotation – the best team was just put out every week. There was no careful scheduling or management of players. If you were fit and the best in your position you were going to get playing. It meant we were all on a level playing field – the other provinces were doing pretty much the same as we were doing. 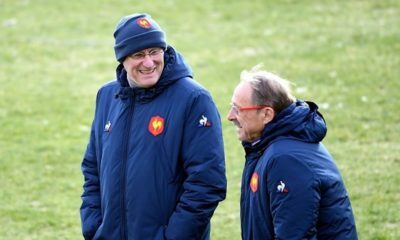 It was only when you played a French or English team in Europe you noticed there was a big difference – how much bigger, more physical and better prepared they were. Now, you look at the daily and weekly diaries of the guys and there is so much they are doing to try and improve themselves and keep ahead of the game. It’s completely different. I went back to work as a civil engineer for 6 or 7 years. Then, when circumstances changed, I approached Ulster and applied for the role of Elite Player Development Officer and, thankfully, I got it. One of the biggest parts of the role is identification of talent which starts around the age of 14 or 15. A huge part of that is speaking to players and coaches in schools because it can be very hard to cover every game in the entire province. I often speak to the head of rugby at different schools and they will usually be pretty on the ball with who they think is a talented player and whether they think someone can go the whole way. It’s also really important to ask players who they rate in their team – that gives a really good indication as well. Once they’re in the set-up there are a lot of different facets to look at. 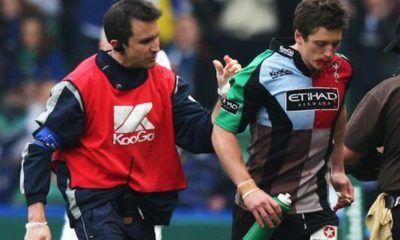 It’s not just the talent to play rugby – it’s the ability to play your role as part of a team and prepare yourself away from the pitch. Also, how young players spend their down time and how they look after themselves when they’re injured are also important factors. I see talented guys coming through and they don’t make it for a variety of reasons. Certainly, there were guys more talented than me who I played with at school who didn’t come through because they weren’t prepared to put in the work. We place a huge emphasis on the guys whenever they are coming through that they have to put in the work to get selected. We give them everything they need in terms of the environment to succeed. It’s our job to get guys to the point where they are training with the senior squad. For guys like Jacob (Stockdale), for example, by working hard he gets himself to the position where he is training with the seniors. He then starts training with the likes of Charles Piatau and Jared Payne. We get them to the level so they are ready to train with the seniors and then they learn so much from working with these guys – that’s when I start to see them really flourish. You have to be able to take criticism well and learn. You should be seeking out criticism. If you shy away from that or ignore your faults and weaknesses then you may survive for a bit but eventually you will get found out. This ability is hugely important in earning respect of senior players and being accepted by them. That’s the most frustrating thing when some people are really talented but don’t know how to handle the pressure. The pressure will come upon you. Some people can get away with trying things because their resilience – their strength of character – is good enough. Once they become part of the team and know what their roles are, they need the resilience and confidence in their own ability to stay there. 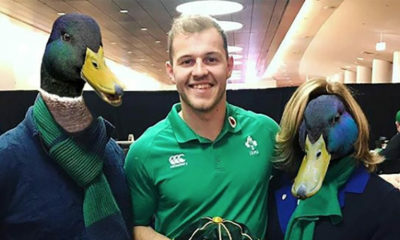 Jacob (Stockdale) and Keith Earls, for example, are players who play in the back three. 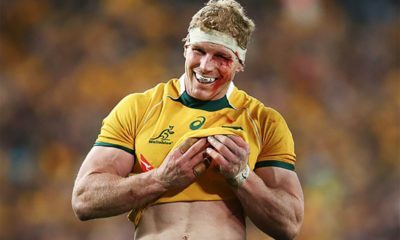 Even players at their level have flaws – as all rugby players do – but their attitudes are great. You can see they’re giving 100% every time they play. They make their own luck by finding themselves in the right positions and working hard when they don’t have the ball. It seems like in 1998/1999 something happened – a lot of talent has come through for players born in those years. Not sure what is was – maybe something they say on TV that inspired them! 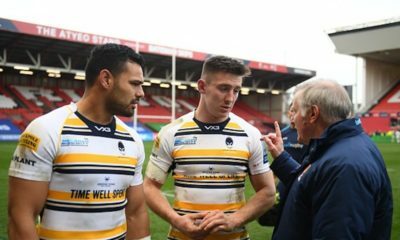 Michael Lowry and James Hume are the obvious examples – they won the Schools Cup and played with each other right through school. 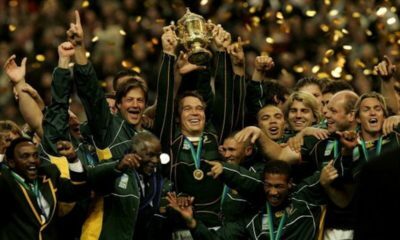 They are actually the exceptions though, in terms of guys who won the Schools Cup. The likes of Robert Baloucoune is from Pretora (now Enniskillen Grammar), Jacob was at Wallace. There’s a number of others from schools where School’s Cup success is not the be all and end all – it keeps the drive in them. 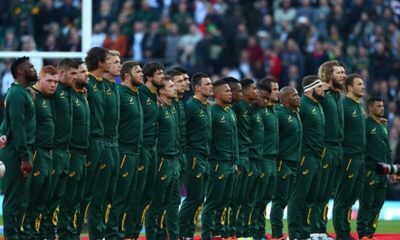 They want to keep going as they don’t feel they have reached their rugby peak. There’s a good crop coming through – I don’t want to name names and add pressure but there are some back three guys I have worked with who will hopefully go on and do well. It’s good to see forwards like Adam McBurney (who came through the club system), Eric O’Sullivan and Tom O’Toole coming into the team. Of course, there will be other guys who take slightly longer to develop and then come into the team and do really well. Matty Rea has come in at the age of 23-24 and done well. In Ulster, the university brain drain is massive. A lot of guys who play rugby go to mainland UK for uni. People go on to study, get jobs and stop playing rugby. In Dublin most guys stay and go to Dublin unis and they also benefit from guys coming to Dublin from Limerick and other places as well. Clubs are a massive thing for us. Mini rugby is really strong – it’s after P7 a lot of guys drift away from rugby. It all comes back to grass-roots and retaining the good mini rugby players. We all know there’s the group of guys who came through Methody having played mini rugby, played at school and then 8 or 9 of them went on to become professional rugby players. Keeping players at clubs is important – a well organised under 20s league would be good, not just one-off tournaments. 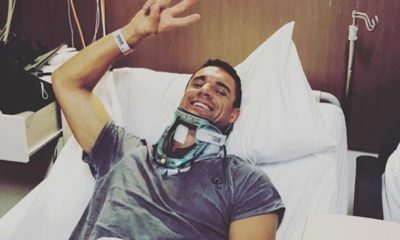 Guys want to play with and against their friends which can be difficult when making the transition to senior club rugby – a limited number will play for the firsts and the retention rate isn’t as good for guys playing down the levels. It’s about trying to keep the enjoyment factor alive. It may not be until 23 or 24 that people start to play their best rugby. An under 20s league would also be good for those who did not go through the traditional grammar schools route and didn’t have the same platform or coaching environment – it would help keep them in the game. Ulster will continue to push young players into the team. It is really noticeable, this year in particular, because of a number of retirements. The guys who have come in have played really well and have applied pressure on the older professionals. 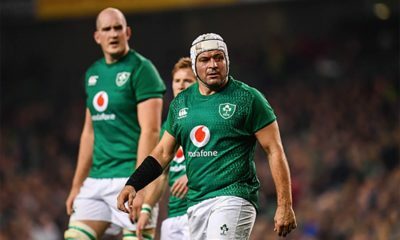 This is what we need and it benefits everyone – Rory Best would love seeing a few guys below him pushing for a place. Ideally the guys who are 24 or 25 should be getting put under pressure from guys who are 19-20. 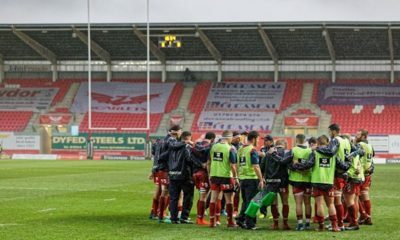 Ulster is a club that wants to play in the top competitions all of the time. It makes a huge difference to supporters. We have high aspirations. Dan, Dwayne, Jared and all the other coaching staff have changed the outlook. The young players coming through don’t look intimidated and the older guys are really welcoming to this younger batch coming through. 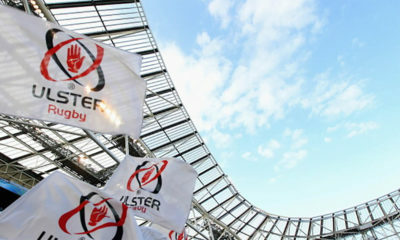 I think Ulster will be stronger and stronger in the next few seasons. There are a good number of guys pushing their way through from the academy and this will be really important in giving us a strong squad to pick from – that’s what’s needed to compete at the very top level again. Munster star forced to retire with immediate effect. Has Ulster Rugby Turned a Corner? Leinster will face Saracens in this season’s Champions Cup final after seeing off Toulouse 30-12 in the semi-final at the Aviva Stadium on Sunday. The win means that Leinster will have the chance to win back-to-back titles and remain in the running to also defend their Pro 14 crown. The away side got off to the perfect start when Thomas Ramos slotted over a fifth minute penalty to put them 3-0 up. Five minutes on and Leinster were level thanks to a Johnny Sexton penalty. From the resulting kick-off Ramos kicked the ball past the end zone and out for a Leinster scrum on half-way. 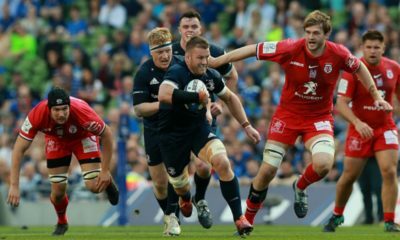 Leinster had nine phases before sending the ball through the hands and over to James Lowe who battled through two tacklers to touch-down in the corner. Sexton converted from the angle and suddenly Leinster were 10-3 ahead. Leinster never looked back from there and when Richie Gray was sin-binned for an intentional knock-on in his own 22 they capitalised. Sexton went to the corner and after securing the line-out the boys in blue marched towards the line, with Luke McGrath diving over the white-wash. Sexton sent over the extras with another impressive kick and it was 17-3 with 25 minutes played. Robbie Henshaw was sent to the bin on the half-hour mark for a deliberate knock-on of his own. From that penalty Ramos got the visitors back in the game kicking the three points. Leinster thought they had scored another try with the clock in red as James Lowe raced over to touch down only for the TMO to penalise Jack Conan for obstruction in the build-up and reverse the decision meaning it was 17-6 at the whistle. Toulouse started the second-half as they did the first with Ramos knocking over an early penalty to make it 17-9. That meant little minutes later when great work from Jordan Larmour and Cian Healy allowed Scott Fardy to stretch and score another try. Sexton was perfect with his kick once more to leave the score at 24-9. Maxime Medard came on and thought he had got the visitors back into the game with a chip and chase only for replays to show that Garry Ringrose got to the ball first. 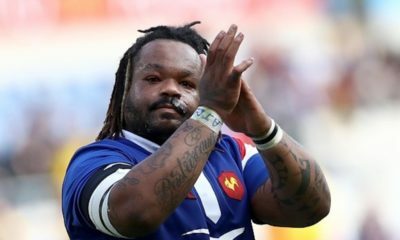 Fellow substitute Romain Ntamack kicked a penalty from the previous play to make it 24-12. That kick was equalled by man-of-the-match Sexton’s penalty on 65 minutes before he left the pitch to be replaced by Ross Byrne. Byrne had the final say of the game when he knocked over a penalty with three minutes left meaning the home side finished as 30-12 victors. 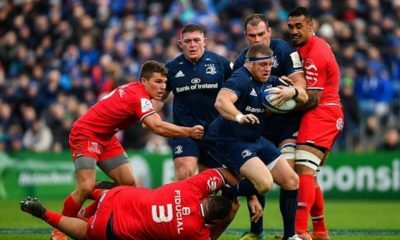 Leinster will now look to bring that form into the Pro 14 semi-final before heading to St. James Park in Newcastle on May 11th to attempt to win a record fifth European crown against Saracens. 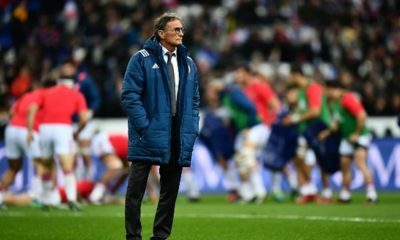 Toulouse on the other hand will hope to continue their march toward the Top 14 title after a disappointing day at the office. 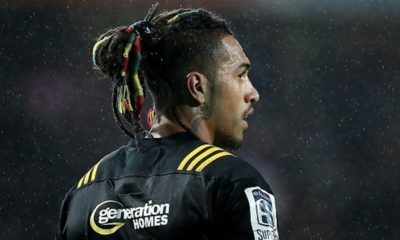 Hopes of an All-Irish Champions Cup final are over after Munster lost 32-16 to Saracens in the semi-final stage at the Ricoh Arena on Saturday. 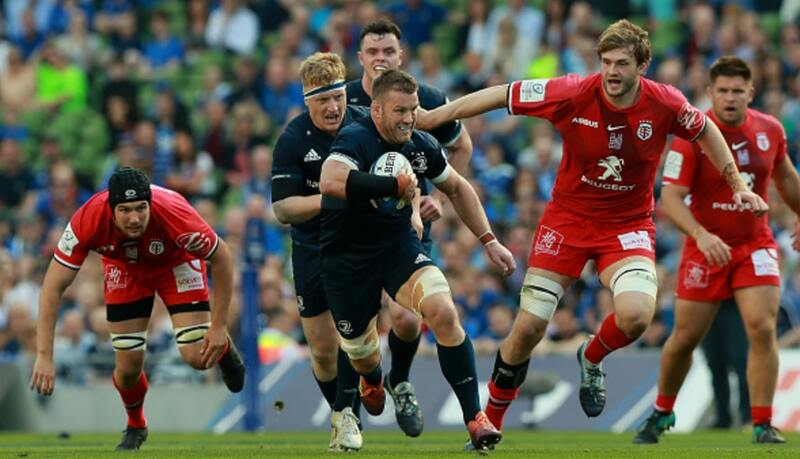 The loss is Munster’s seventh semi-final defeat in a row and means the nations hopes now lie with Leinster as they face Toulouse on Sunday for a place in the final. The huge physical battle was kicked off by Owen Farrell, who knocked over a penalty after only two minutes to put the hosts 3-0 up. On nine minutes Munster struck level thanks to a Tyler Bleyendaal penalty. Farrell kicked a further two penalties without reply by the 26th minute as Saracens went 9-3 ahead. Bleyendaal slotted home his second penalty of the afternoon, before Conor Murray stepped up to score a monster long-range penalty to bring the sides level. On the stroke of half-time Farrell finished as he started with his fourth penalty of the game to bring the home side 12-9 up at the whistle. The visitor’s massive defensive effort in the opening half told only two minutes into the second half as Saracens kept the ball well before Michael Rhodes got in for the first try of the game. Farrell converted to stretch their lead out to 19-9. By the 53rd minute they were further in front when Farrell kicked his fifth and sixth penalties of the day to make it 25-9. With 20 minutes remaining Munster got themselves back into the game as they worked the ball out to Darren Sweetnam who raced over to touch-down. JJ Hanrahan converted to make it 25-16. 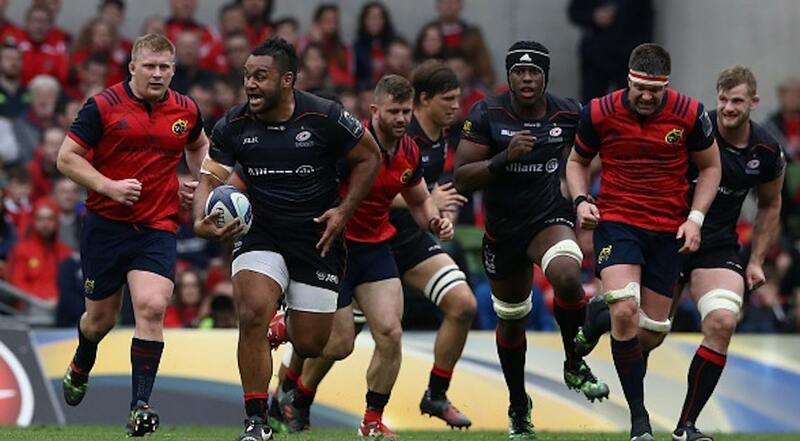 Billy Vunipola got the next score with 10 minutes left when he broke through for his sides second try. Farrell was on hand once more to add the extras. 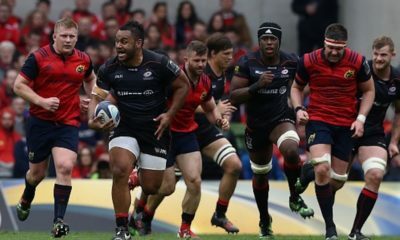 Saracens were reduced to 14 men when Vincent Koch was sin-binned, but it made little difference as Saracens held on for a 32-16 win. After the game a fan wearing a Munster jersey confronted Billy Vunipola following his support for Israel Folau’s anti-LGBT comments on social media recently. Which left a soar taste to the tie. In the post-match press conference Munster head coach Johann van Graan admitted his side were second-best on the day. “We weren’t good enough on the day, we got beaten by the better team so no excuses from our side,” he said. Saracens march on to the final in Newcastle now where they will face either Leinster or Toulouse. While Munster now look towards their next game with Connacht as they look to pip Glasgow to top spot in Conference A of the Pro 14. Munster have made 12 changes to the side that defeated Benetton last weekend for their Champions Cup semi-final against Saracens at the Ricoh Arena on Saturday at 15 00. Joey Carbery misses out as expected but he is joined on the side lines by quarter-final hero Keith Earls. Otherwise Munster are almost at full strength for the game. Dave Kilcoyne, Niall Scannell and John Ryan start in the front-row for the reds with Jean Kleyn and Tadhg Beirne slotting behind in the second-row. Peter O’Mahony captains the side on his 50th Champions Cup appearance and is joined in the back-row by Jack Donoghue and CJ Stander. Conor Murray will look to run things from the half-backs alongside Tyler Bleyendaal. While Rory Scannell and Chris Farrell come in at 12 and 13 respectively. Darren Sweetnam begins on the left-wing, with Andrew Conway on the right and Mike Haley continuing at full-back to finish the starting XV. On the bench Rhys Marshell, Jeremy Loughman, Stephen Archer, Billy Holland and Arno Botha are the forward replacements. Alby Mathewson, JJ Hanrahan and Dan Goggin are cover for the backs. We'll be arriving at the Ricoh Arena tomorrow at around 1.30pm if supporters would like to welcome our squad to the stadium! 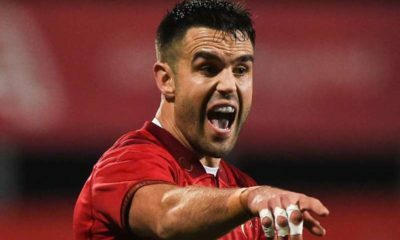 Speaking ahead of the game Munster head coach Johann van Graan believes that his team will be facing the best side in this year’s tournament thus far. 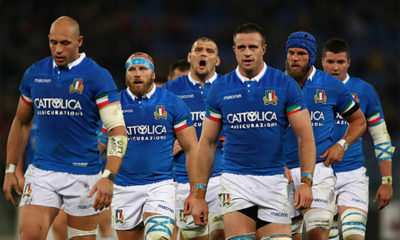 “They’ve been the team of the Champions Cup thus far. 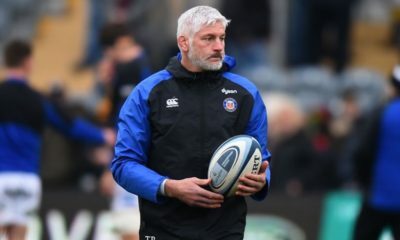 They haven’t lost a game yet, they’ve played some fantastic rugby and scored the most tries and they’ve got a lot of world class players in their team, so, we’re definitely up against a massive challenge away from home on Saturday afternoon,” he said. The opposition is formidable with Mako Vunipola, Jamie George and Titi Lamositele locking down in the front-three, with England duo Maro Itoje and George Kruis as the locks. Michael Rhodes, Jackson Wray and Billy Vunipola make up the back-row. Vunipola will be sure to get some reaction from the fans following his recent support for Israel Folau’s comments towards the LGBT community. Ben Spencer partners Owen Farrell in the half-backs, with Brad Barritt and Alex Lozowski in the centre. Liam Williams and Sean Maitland open on the wings and Alex Goode slots in at 15. With the likes of Will Skelton, Schalk Burger and Richard Wigglesworth to call on from the bench, Saracens will be a constant threat throughout the game. Whoever wins this game will be incredibly difficult as final opponents for either Leinster or Toulouse. Mako Vunipola vs Dave Kilcoyne = This game could be won or lost at the breakdown and the set-piece. 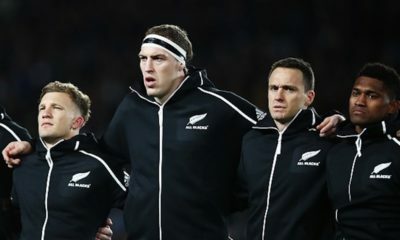 Although they won’t be on the same side of the scrum both of these will be vital to pushing their team toward the final. Kilcoyne will also be expected to put in as many big hits as possible on the English star who will look to burst holes in the Munster defence. These two could hold the key to their side’s success or failure. Billy Vunipola vs CJ Stander = Two massive ball carriers and two massive players for their respective teams. 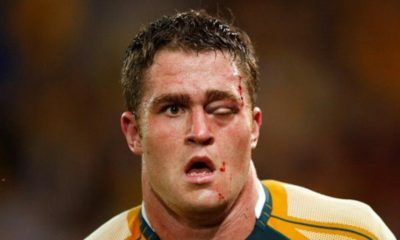 Vunipola will be under pressure to perform following his off-field antics over the past couple of weeks, while Stander will need to lead from the front as always. The personal battle of these is reason enough to watch this game. 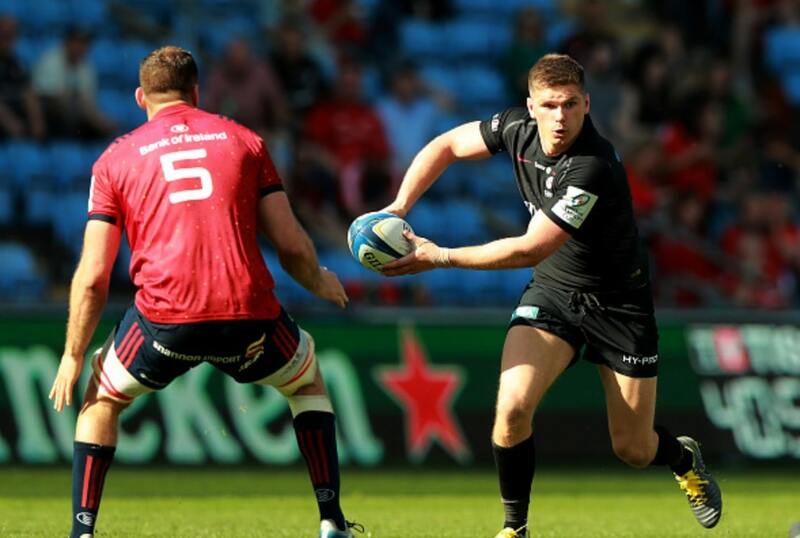 Owen Farrell vs Tyler Bleyendaal = Farrell has been in remarkable form this year and after missing out on a Six Nations title and the quarter-final of the Champions Cup he will wan to add the trophy to his cabinet. Bleyendaal is another who has had an amazing spell this year and will need to be at his best to keep Farrell from turning screw on Munster. Both kickers will need their accuracy to be on point as every point will count in this clash. No matter who comes out on top on Saturday one thing is for sure it will be well deserved as we could be in for a real treat of a game if both sides get into their groove.